Baba blesses us in Abundance! 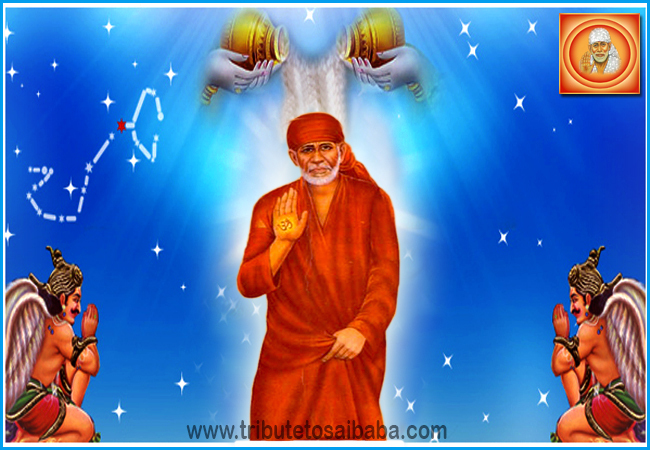 One of Sai Devotee says “From past few days I am feeling that for this season I did not have a single mango yet. And said the same thing to Mom and Aunty (Mom’s sister) yesterday. Both of them said “go and have it, as this is not a big deal”. Today morning I thought, let me offer one to baba and then have it. I got some mangoes and I offered to baba. I said to him, “Baba I want you to come and take mango from me” then only I will eat. And that mango was tempting me to have it as early as possible, but I was controlling myself. Later after 30mins; when I was drying my clothes, I found that another person from my flats is also drying his clothes. We smiled at each other. He runs a gym and it was not his actual time to be at home this time. We don’t know each other much and just exchange smiles when we come across each other. After few minutes I heard someone calling “bro” “bro” I turned back and found that he is calling me. I do not even know his name. I said yes. Later he enquired me, “bro I don’t know why but I’m feeling like having a mongo”. If you have one can u give me?” I was dumbstruck and my spine started chilling. I said I have mango, please come inside and take it. He happily came inside. I offered one to him. He smelled it and said” it smells yummy” I will have it today. I was praying in and gave him a smile.